Dinnertime can be difficult if you have children with food allergies at home. Whether you are facing a gluten, dairy, or any other food allergy, there are lots of options to please everyone. It may seem difficult to offer a variety of meals, but luckily, there are simple, healthy and delicious recipes that are allergen-friendly and the kids will love. Who doesn't love a little sweet and savory combination? This healthy dinner can be paired with any side dish to create a well-balanced meal. 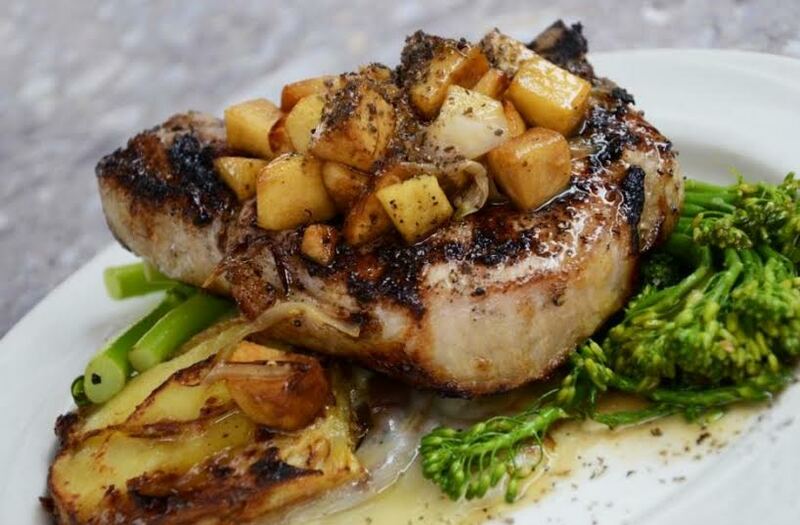 To make these pork chops, combine one quarter cup of corn starch with an eighth a teaspoon each of salt and pepper. Dip your pork chops in this mixture, making sure both sides are coated. In a different bowl, mix one quarter cup of honey with 1/4 cup of chopped pecans. Melt one tablespoon of coconut oil over medium-high heat in a large skillet. Once melted, brown each piece of pork on both sides, one at a time. Finally, stir in the honey pecan mixture. Cover the skillet and reduce the heat and let simmer for about 8 minutes. Serve immediately with some extra honey pecan sauce on top. Cook linguine according to the instructions on the package and heat 1 teaspoon of olive oil in a large skillet. Sauté 5 oz. of spinach until wilted. Remove the spinach and re-oil the pan, adding 4 cloves of garlic. Cook for one minute while stirring. Add one small tomato and half a cup of white wine, and cook for 3 minutes. Add 1/2 cup of water from the linguine pot as well as 12 oz. of bay scallops. Cook for 3-4 minutes before adding the spinach back in and tossing thoroughly. Chop 1.5 pounds of stew meat and sprinkle with cumin, paprika, salt, pepper, and oregano. Puree 2 carrots, a small onion, and 2 cloves of garlic. Coat the spiced meat in flour before browning it in a saucepan with the carrot mixture. Add everything into stew pot with three cups of water. Boil this and then simmer for 1.5 hours. Preheat oven to 350 °F and prepare rice according to package directions. Remove the tops from four green peppers and clean out the seeds. Boil peppers and tops in water for 10 minutes. Drain and set aside. Brown one pound of ground sirloin with one chopped onion. Add rice to this meat mixture. Season to taste with garlic powder, basil, oregano, and 3/4 of a jar of pasta sauce. Stuff the peppers with the meat mixture and cover with their tops. Stand the stuffed peppers in a baking dish. Cover the peppers and bake for 30 minutes. These healthy recipes are sure to be family-pleasers, even if food allergies are involved. If you suspect that your child has a food allergy, it’s important to have a food allergy evaluation done by board-certified allergists, like those at Oak Brook Allergists. Food allergies can be serious, but with some caution and a few allergy-friendly recipes, the whole family can enjoy safe, healthy meals together.